Iconic jewellery brand Tiffany has opened a new flagship in London’s Covent Garden this summer. Those well acquainted with the brand will see a departure from the typical Tiffany approach as the store aims to re-imagine luxury for a younger generation. The Style Studio is a new concept with a contemporary retail format that encourages customers to interact with Tiffany in a way they haven’t before. The playful new store is a far cry from previous iterations that dare I say had an air of pretentiousness and misplaced snobbery. While remaining a luxury brand the new space feels much more aimed at a new market and the humour and spirit of the brand is much more accessible. Gone are the plush carpets and oppressive muted interior furnishings and in their place appears large glitchy text, bold tiffany blue and modern displays. Staff are encouraged to dress casually in contrast to the formal uniforms of the past. With a large focus on an experiential offering, the space targets customers looking for differentiation and a level of personalisation many brands are striving to offer. Visitors to the James Street Style Studio can create their own gifts with leather embossing and monogramming as well as choosing custom engraving services at the personalisation bar. Necklaces and charms as well as other objects and trinkets can be monogrammed or inscribed in store. 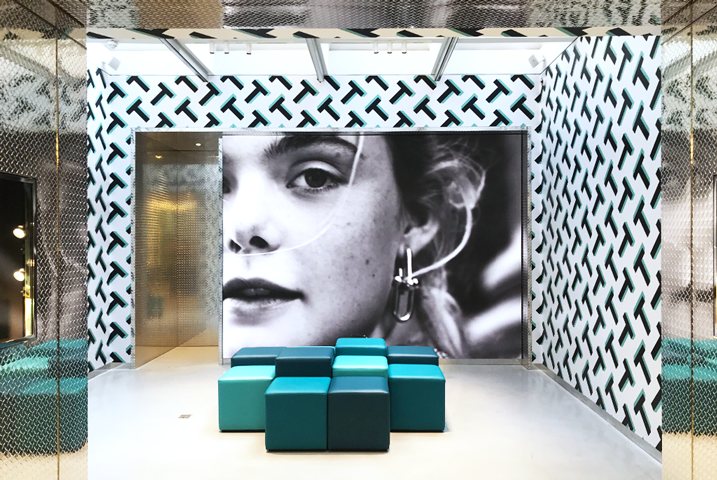 A dedicated space at the back of the store is designed to host a programme of events including installations, animations and style sessions. A large LED wall features video content showing the latest campaigns and draws customers to the back of the store. 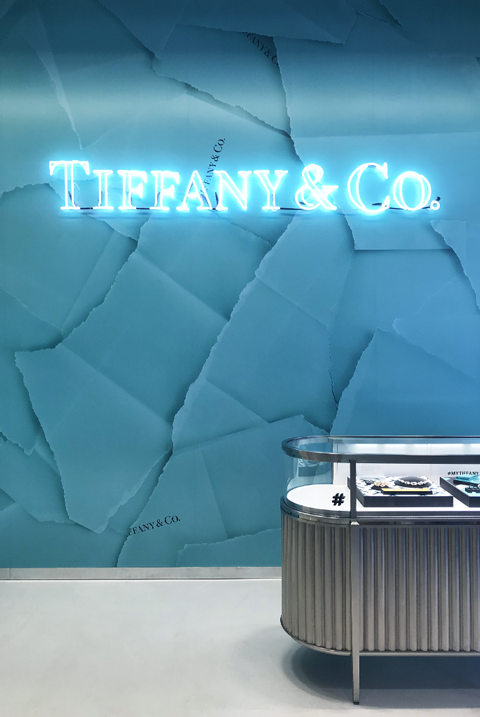 After years of less than ideal sales Tiffany have recently invested back in the brand and their new retail strategy seems to be making an impact. Recognising the need for something new, their shares rose 4.2% in pre-market trading. It is exciting to see bravery within a large and well-established brand and a desire to move with the times rather than get left behind. This store has already garnered a lot of attention and attracted a wealth of new customers having been open for only 6 weeks. I wonder what is next.